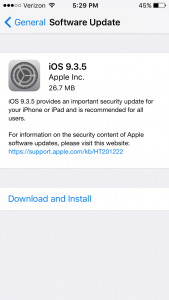 Yesterday, Apple released the iOS 9.3.5 update. You need to install it now. Yes, right now! You can read the rest of this while your iPhone is updating. We don’t usually push for people to update their devices so firmly, but a major security hole was found that would allow nefarious types to “read text messages and emails and track calls and contacts. It can even record sounds, collect passwords and trace the whereabouts of the phone user.” according to the New York Times. On the plus side, Apple just released a patch to fix this massive security hole, and, if you haven’t already, you should download and install it immediately. 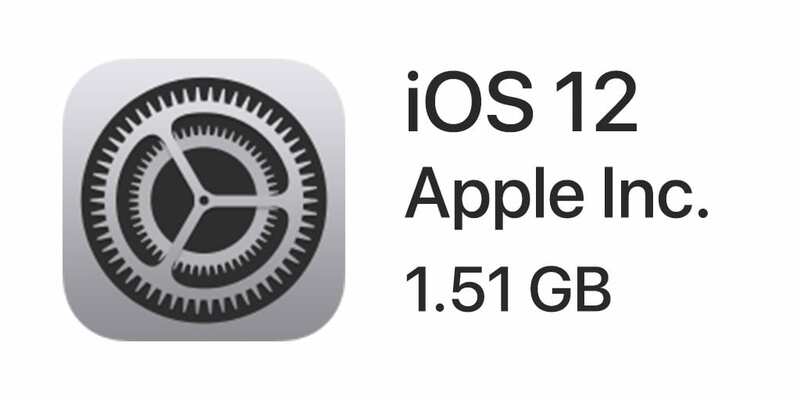 We also recommend installing the update on any other iOS devices you may have, such as an iPad 2 and even an iPod touch (5th generation). For more information on the Zero-Day exploit and how it was used against a UAE Human Rights Defender, please visit Citizen Lab.